Fashion Week 2016 has spanned four countries over 28 days and has showcased new collections from the worlds top names in fashion. Chanel, Valentino, Alexander McQueen, Louis Vuitton and Ralph Lauren are only some of the big fashion houses that walked the catwalks this season, each one bringing something new to the table. Getting the designers style right means not only addressing the clothes, but the make-up, the shoes and of course the hair. Fashion week saw and array of different hairstyles, some were new and bold, while others were timeless and elegant. Not every one was a hit, but there were definitely some stand out styles. 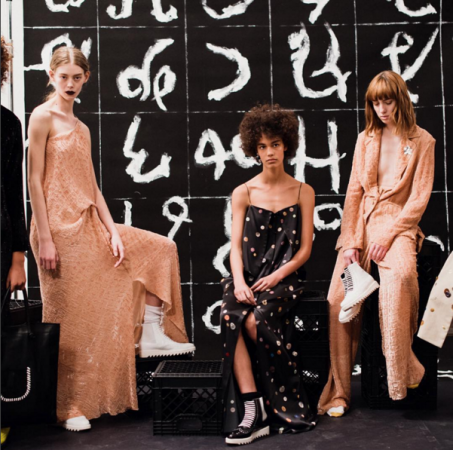 We have put together our top 5 moments from this Fashion Week season. 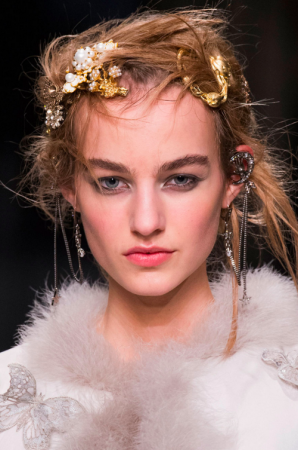 Alexander McQueen – Embellished hair. Jewels and adornments created a whimsical and romantic style. Edun – Natural and Feminine. Soft tones and gentle styling was used to create a natural elegance. Balmain – The iconic hair swap. Switching the hair colours of every model that walked the runway was very daring and bold, and it payed off. Nicole Miller – Naturally curly. 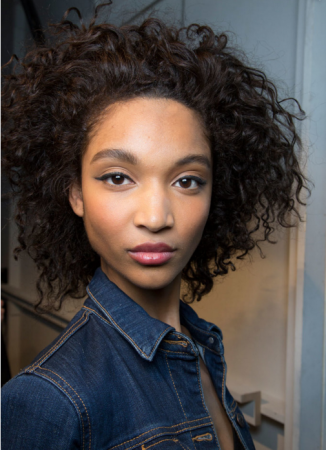 Nicole Miller embraced the curl with minimal styling. It created a very natural and soft look. Charlotte Olympia – The 40’s tumbling curl. Bringing in the 40’s feel created a sophisticated and elegant show, paired with the bold lips it definitely made a statement.